Given the vast number of solutions and vendors available on the market, it’s difficult to narrow digital transformation trends down to a few technology strategies. As you ease into the new year, we’ve elected to touch on just three key trends – by no means an exhaustive list – that have impacted business process optimisation in 2018 and can be expected to broaden their impact and usability during 2019 and beyond. In 2018, CIO.com called low-code platforms “the future of app development”. While many of our clients adopted low-code platforms years earlier, this digital transformation strategy gained traction during 2018 – and will continue to prove its worth during 2019. Research firm Forrester predicts that the low-code market will grow by 50% year-on-year in 2019; and a further 55% in 2020. Low-code application development platforms have emerged as a solution to some of the greatest business optimisation challenges of our time. Firstly, this strategy is an alternative to the long development cycles and high costs associated with conventional app development methods. Many organisations can’t afford to wait six months (and sometimes years) to improve and automate their processes. The long-drawn-out wait for applications can put any firm at a competitive disadvantage. Secondly, this problem is being compounded by a lack of specialist developer skills in an environment where the demand for business process applications is growing rapidly. Going forward, developer skills will be in hot demand and short supply. Fortunately, low-code platforms can help to bridge this gap. Low-code technology enables developers and other platform users to design and deploy business process applications with minimal (and often no) coding. This method of development is made possible through a graphical design interface that allows users to build custom solutions using drag and drop tools and other smart systems. This user-friendly system accelerates the application development cycle, with the potential to deliver solutions 10 times faster than conventional methods. Many low-code solutions integrate seamlessly with existing line of business software and other emerging third-party solutions to create a more cohesive environment for improving efficiency, data-driven decision-making, customer service and overall performance. During 2019 and going forward, we expect to see the more innovative low-code platforms acting as a springboard for innovation. These platforms will enable developers to integrate intelligent technologies into their processes – such as machine learning capabilities, advanced analytics tools and sophisticated data visualisation solutions – in a way that is efficient and scalable. 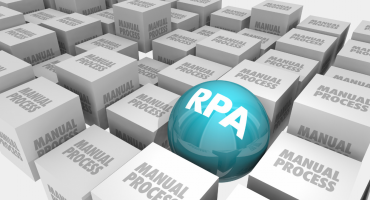 One digital transformation technology that is rapidly moving into the mainstream is robotic process automation (RPA). The Deloitte Global RPA Survey for 2018 revealed that more than half (53%) of respondents had already adopted RPA technologies – and 78% of these organisations said they plan to significantly increase their investment in RPA over the next three years. Deloitte predicts that RPA technologies will achieve “near universal adoption” within five years. As we head into 2019, it’s clear that RPA is no longer an emergent technology, but rather one with clear business benefits. This is an automation solution that works on the same user interface as a human employee – integrating well with legacy systems and helping to digitally transform tasks without calling for an entirely new IT infrastructure. It’s possible to delegate labour-intensive, rules-based tasks to RPA configurations (known as “bots”) in order to realise significant productivity improvements without increasing headcount. RPA also reduces the risk of human error, enhances process consistency and speed, and increases responsiveness to customer demands. Bots, unlike humans, need no lunch breaks, sleep or annual leave – they’re available 24/7. There was initially some trepidation around RPA’s ability to make human workers redundant. 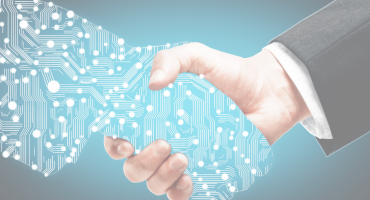 However, perceptions are shifting – especially in the business landscape – and organisations are beginning to view RPA as a complementary technology that can work alongside humans to free skilled employees from low-value, robotic tasks. In fact, until bots are able to manage entire, complex processes independently, human-bot collaboration remains a necessity. Beyond these benefits, RPA also optimises business processes by reaching across disparate data sources and line of business systems to integrate these assets and improve efficiency, decision-making and collaboration across the enterprise. As RPA technology develops and enterprises learn how to scale their RPA solutions during 2019, this technology may be applied to a wider array of tasks. Beyond just automating manual activities, RPA could substantially change the way that brands serve their customers through the deployment of chatbots with cognitive capabilities such as machine learning, speech recognition and natural language processing. With every process that’s digitised and/or automated, more data is generated that can be used for continual business improvement. Ultimately, the goal is to extract actionable insights from current operation data to improve performance in real time. As the volume of data grows and the potential of data analytics increases, organisations need increasingly sophisticated tools and skills to keep pace with competitors. During 2018, Gartner discussed the emergence of new analytical approaches that use machine learning technologies and other intelligent tools to automate the process of data analysis, model building and data visualisation. The benefits? Users with minimal analytical and statistical skills are able to access business insights that previously only expert data scientists could have identified. 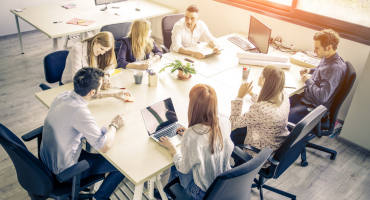 Ideally, during 2019 and beyond, citizen data scientists will be empowered to collaborate with experts in the field in order to better serve their companies’ advanced analytics needs. As mentioned, these are just three of many approaches to business optimisation that are expected to gain momentum this year. If your organisation is keen to explore the benefits and opportunities you may find our Executive’s Guide To Business Process Optimisation E-Book a useful aid. Also, if you’re interested in this topic, we invite you to keep reading our business blog and sign up to our newsletter for more insights and expert opinions.